The Jeep J6 single cab concept model could preview a production revival of the Jeep Honcho ute. Jeep has unveiled the J6 single cab ute ahead of the Moab Easter Jeep Safari. The Jeep Gladiator dual cab may be the brand’s most anticipated model in decades, but the company is also mulling a single cab version. 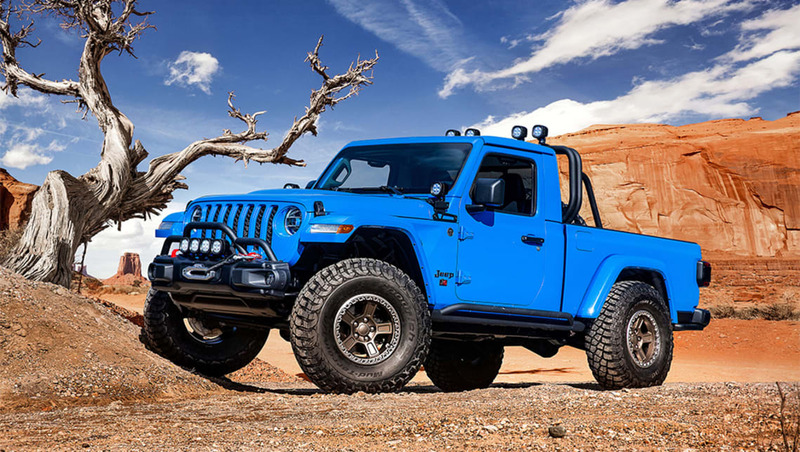 The brand has unveiled the Jeep J6 single cab ute ahead of the Moab Easter Jeep Safari, a celebration of all things Jeep that this year features six Gladiator-based concept models. The two-door model is based on a four-door Gladiator, but features a shorter cab and a longer tray (six-feet, as opposed to the standard five of the production model). Read More: Could the Gladiator gain a Hemi V8? Head of the Jeep brand for North America, Tim Kuniskis, pre-empted the question before we’d even asked if it could have production potential. “It is just a concept. Just like everything else we take to Moab. That doesn’t mean we’re not going to gauge interest from it, but it’s just a concept,” he said, before explaining that a dual-cab model is what customers have been asking for, so that’s what they got first. “The thing that precludes you from doing it is that, if you look at the segment, it’s four-door, five-foot bed vehicles. “If you look at the segment and you slice it down to the two-door versions, the segment is tiny - so how do we make a business case out of that? Viability of making a business case on that is pretty tough,” he said. 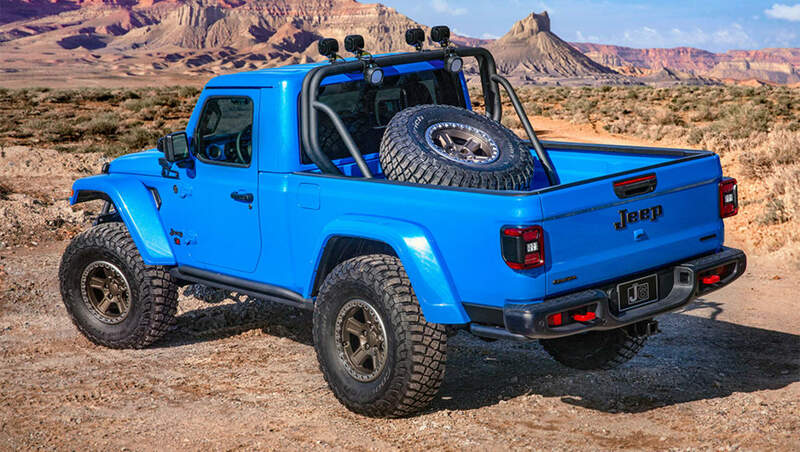 However, there is a sliver of hope for a two-door Wrangler-based pick-up truck, as the brand sees the Gladiator as a lifestyle offering first and foremost, which sets it apart from the other work-focused mid-sized utes in the market, such as the Ram 1500, Ford Ranger and Toyota Tacoma in the US market, and global competitors such as the HiLux, Mitsubishi Triton and Nissan Navara. “It is fully lifestyle - so, is it totally different in the segment? Yeah, it probably is, because Wrangler two-door sells well, too,” he said, before stating that about one in five sales of the Wrangler is the short-wheelbase model. “You remember when trucks were all two-doors, and why they went to four-doors - it’s because they had much better utility. The two-door doesn’t have a lot of utility,” he said. But do they have the proportions of the J6? We’d say no. Tell us what you think - should there be a two-door Jeep truck? Let us know in the comments.